In this Oct. 31, 2018, file photo, John Mayer performs onstage during "Mac Miller: A Celebration Of Life" Concert Benefiting The Launch Of The Mac Miller Circles Fund at The Greek Theatre in Los Angeles, California. 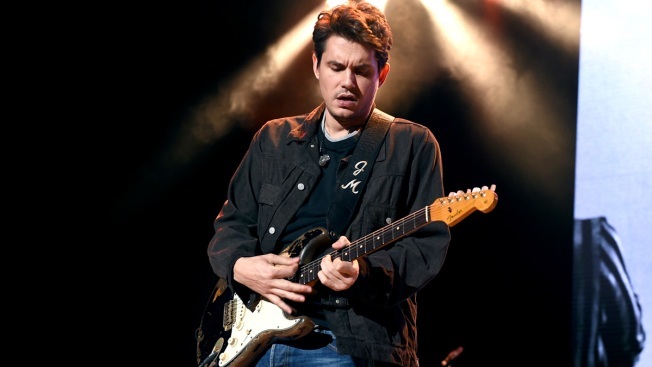 John Mayer is launching a foundation focused on improving the health of veterans through scientific research. The Grammy-winning singer on Friday announced The Heart and Armor Foundation, which plans to focus on veterans with post-traumatic stress disorder and meeting the emerging needs of women veterans. Though he publicly announced the foundation on Friday, Mayer has been working on the organization since 2012 alongside veterans, scientists and clinicians. "We're going to the public with things like published research papers and having raised enough money to really build some pilot programs. We have some really great data and ... we want it to be working first so that a lot of the questions were answered before we brought things to people by way of awareness," Mayer said in an interview with The Associated Press. "I think it just makes it that much more compelling and much more concise to bring it to people with the message being, 'Hey, this is not taking something that is zero to try to get it to five. This is something that is at 50 and we want to get it to 100.'" 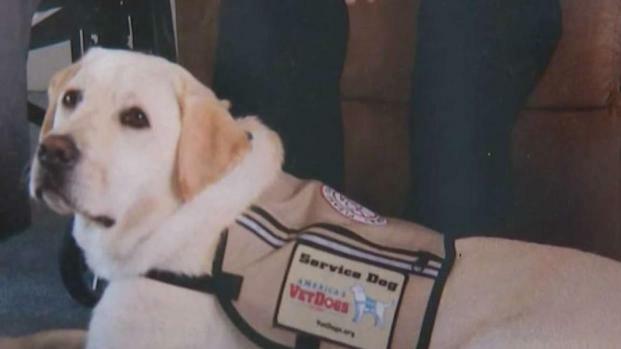 The 2-year-old Labrador retriever who acted as a guide dog for former President George H.W. Bush is returning to his Long Island roots. Gus Rosendale reports. Mayer, whose father was a World War II veteran, said part of the reason he started The Heart and Armor Foundation came after he visited the Marine Corps Base Camp Lejeune in 2008. "Now this was with a friend of mine, so I was just plus one and nobody knew that the musician-guy was going. That gave me a really fluorescent look at what was going on in the barracks. It wasn't like they rolled out the red carpet for a celebrity, it was kind of a normal day," he said. "It was going to the wounded warrior barracks that I think changed me forever. It immediately showed me that my notion of what I think (are) the wounds of war are completely wrong. The way in which I was proven wrong was so compelling and fascinating and nuanced." The foundation has released 10 publications in peer-reviewed journals, developed an exercise-based intervention for PTSD and created a screening tool for nutrition in women veterans, among other accomplishments. "I've been in meeting after meeting where people ask, 'Where did you get the money to do this exercise study? Where'd you get the money?' I'm like, 'Well I'll tell you.' People are excited about it before I tell them John Mayer did it," said Gerard Choucroun, executive director of The Heart and Armor Foundation. The foundation also has a goal of bringing the military and veteran communities closer together with outreach, events and conversation. An event will be held Friday night called "How War Changes Women, How Women Change War" that will stream live at Facebook.com/JohnMayer and Facebook.com/HeartAndArmor at 7 p.m. Eastern. "We think that there's something in here for everybody. This is not a quick black-and-white conversation. This is a very nuanced conversation. There's a lot of an American identity going on in our relationship to vets. It's a relationship between the citizenry and the people who absorb and commit violence for that citizenry is such a rich, cultural ground dating back to the ancient Greeks that for us now, we want to be a part of that conversation. It goes much deeper than this set of wars that we're in now," Choucroun said. Nothing puts a smile on Roosevelt Smith’s face quite like dancing. 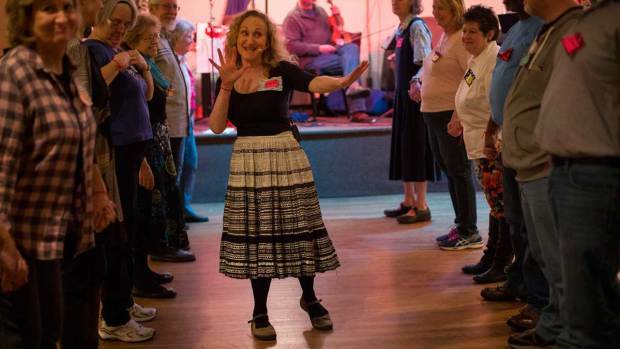 Smith is one of a few dozen veterans with PTSD or traumatic brain injuries who fight depression and anxiety with a group dancing class at an AmVets post in Louisville, Kentucky.